In order that the character of Repton and Milton shall endure, it is essential that all possible steps be taken to define, preserve and improve the features that make the villages distinctive. It is hoped that this document will be a guide for anyone planning development in or around the villages, for a householder wanting to build an extension or make alterations to existing buildings and landowners planning tree felling or new planting. The Village Design Statement (VDS) endeavours to describe Repton and Milton and their surroundings as they are today, highlighting the individual and collective characteristics that make the settlements distinctive. The VDS has been compiled by local residents, through a process of public consultation, with help and advice from Officers of the South Derbyshire District Council and support from the Repton Parish Council and Repton Village Society. The VDS adds local guidelines for Repton and Milton to the overall policies on housing, environment etc. 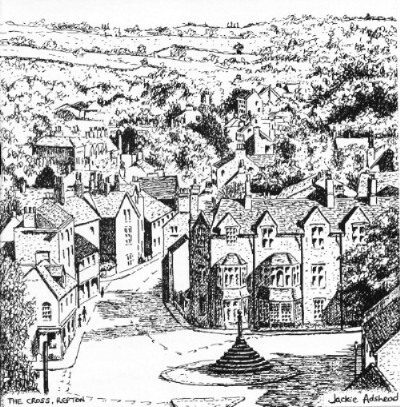 contained in the South Derbyshire Local Plan. As such the VDS does not cover all the policies and requirements to be met by a development, alteration or tree felling in the conservation area. The Local Plan covers many issues, some applicable to Repton and Milton, such as; policies and definition of the development boundaries, conservation areas, environmentally sensitive areas (e.g. the Old Trent and the Osier beds on Main Street), areas of open spaces and undeveloped land (e.g. The Crescent, Saxon Croft field, Matthew’s Farm and near the Mitre), as well as policies on developments in villages and the countryside and listed buildings. The Local Plan and Supplementary Planning Guidelines (including Conservation Area Character Statements) should be the first references addressed in a planning application. The VDS supplements them with those aspects particular to Repton and Milton. Some aspects such as density of housing and parking requirements are set in national Planning Policy Guidance Notes (PPG’s). The local guidelines in the VDS can be used when residents comment on planning applications. These guidelines are not intended to be exhaustive, but are included to assist any person considering design change in order to integrate it into the parish. It is to ensure changes that take place in the future fit in with what is best in Repton and Milton today. It lays down what residents feel is important and is readily available to residents, developers and local planners, to help in the process. The Village Design Statement has been reviewed in the light of changes in the Parish of Repton and Milton. A review of the guidelines shows that the only change is to recognise the need for housing for the elderly and the guidelines support the policies in the Neighbourhood Plan. 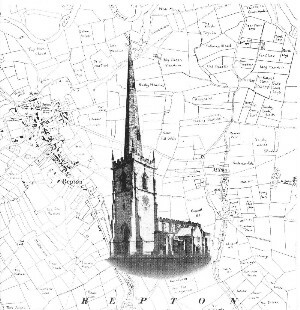 Repton is a village with a long history. It was the ancient capital of Mercia where in AD 653 Christianity was first preached in the Midlands. The conversion of the Mercian royal family led to the building of the 8th century crypt that now forms part of the church. Repton was invaded in 873-4 by the Vikings as an over wintering place, the defences included the religious buildings. The area was subject to extensive archaeological work in the 1970s and 1980s. The Augustinian Priory was founded in 1172 and the church much enlarged between the 13th and 15th centuries. There were statute fairs, based round the Cross, from medieval times up to the end of the 19th century. The Priory was closed when Henry VIII caused the dissolution of the monasteries in 1538. 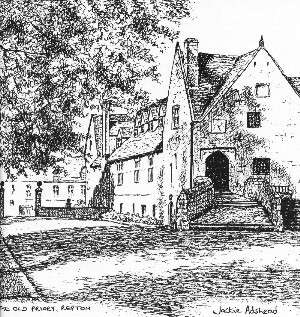 Many buildings were demolished before a free school was set up in 1557 in what is now the Old Priory. The next major development was the building of the toll bridge to Willington in 1839. Together with the new railway station at Willington this led to a large expansion of the Public School which has had a major impact on the village. The character of the village has been brought about by this history, subsequent changes in industry and the development of motor transport, meaning that many residents now work outside the village. 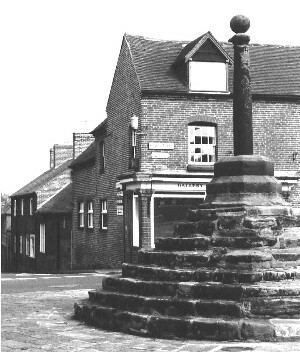 The area of the Cross and Church are obvious landmarks but the character of the village is much more diverse and will affect, and be affected by, changes in the buildings, roads and related features. Milton is a hamlet, separate from Repton, established well over a thousand years ago, which needs protection if it is to retain its essential rural character. Two words feature prominently throughout the history of Milton; hamlet and farming. From the late 14th century onwards, there are records of various land/property transactions, including the purchase of the Foremark estate by the Franceys family in 1387, of which Milton was a small part. Subsequently the land passed to the Burdett and Harpur families and then finally to the present owners, the Church Commissioners for England. The majority of the 80 houses in and around Milton are now privately owned.